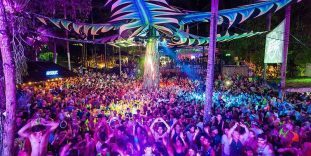 Find out where to buy your event tickets and how to travel to Koh Phangan. Book the best party accommodations in and around the Haad Rin Beach areaand and discover the MUST see places on the island! 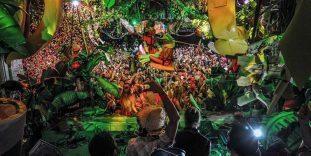 When my friends and I began planning our trip to Thailand, we had one requirement: that we attend the Full Moon Party Koh Phangan. We didn’t knew a lot about the party. But over the years we’d heard so much about it, we knew we had to go. And yes. 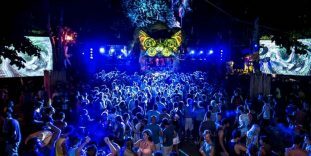 Thailand’s world famous Full Moon Party on Koh Phangan takes epic to a whole new level! What is this party all about? Why is it so popular? How can you get there yourself? 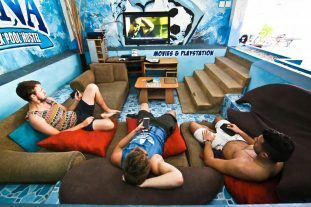 And most importantly, what are the best party accommodations in the area of Haad Rin Beach? Over the years I’ve been to three Full Moon Parties. And I can tell you that there’s a certain way to experience this party. You want to avoid overpaying or getting injured, find good accommodation, and make sure you’re still up at sunrise. Ready for this legendary party? Currently backpacking in Thailand or around South East Asia? Keep up with the latest news about traveling, national holidays, important laws and just some fun good to knows!